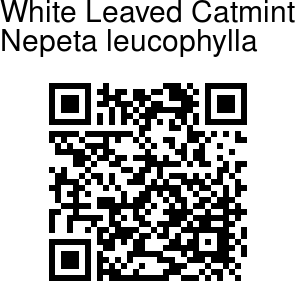 White Leaved Catmint is a hairy, slender-stemmed perennial herb, with small lilac or blue flowers in an interrupted spike, with at least the lower whorls distinctly stalked and widely separated. Flowers are 1-1.2 cm, hairy, twice as long as the hairy sepal cup. The linear-lanceshaped sepals are shorter than the sepal cup. Leaves are stalked, heart-shaped, 2-4 cm long, blunt tipped, with rounded teeth on the margin, wrinkled above, and silvery haired on the underside. The plant has branched stem 2-3 ft tall. 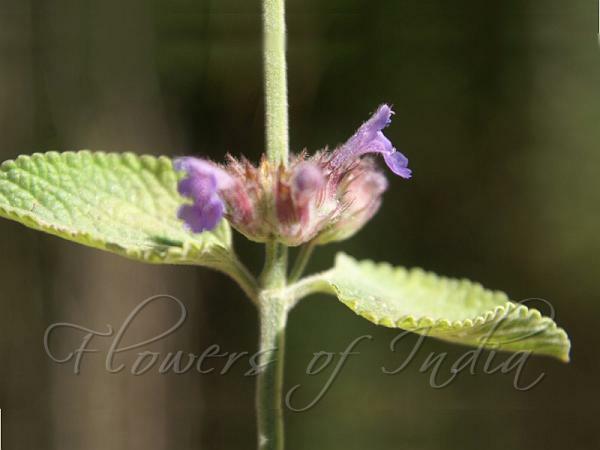 White Leaved Catmint is found on open slopes of drier areas of Himalayas, from Himachal Pradesh to Nepal, at altitudes of 2400-3600 m. Flowering: July-October.